The chief benefit of this device is that it offers a more personalized approach to temperature control, one that’s vastly more efficient than current heating and cooling methods. It takes millions of watts to raise or lower the temperature of an entire building, but Wristify can run on a small lithium battery. 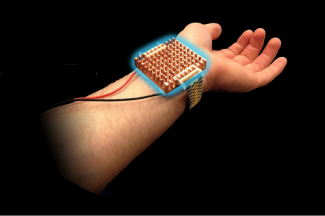 If everybody had one of these things on their wrist instead of relying on air conditioning or heaters all the time, the potential energy savings could be massive.